These first weeks of school, my coaching work has been focused on supporting our new teachers in creating a positive classroom culture. This was an intentional decision made on the part of our leadership team since, as you likely know, classroom management and creating a learner friendly environment is so super important in the overall success of a teacher, her kids, and their growth and learning. So we really wanted to help teachers hit the ground running. Now, I know how to manage a classroom. It was always one of those things I could just kind of do. However, coaching teachers on classroom management is a different story. I’m not totally sure why…maybe it’s because there are some aspects of classroom management that aren’t really tangible or measurable. Like your overall presence or ability to build rapport with kids. Then there are some things that can be kind of sticky to talk about with teachers. Like, “Hey, your room is a bit out of order which is probably contributing to your kids acting a bit out of order.” Whatever it is, coaching on classroom management can be tricky. 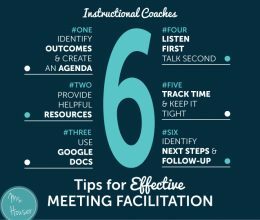 Luckily, I was able to do some team planning with two of my coaching colleagues this summer for how we were going to tackle supporting our new teachers in this area. I think we made some smart decisions, and we’ve seen pretty good progress and success with the teachers we worked with as a result. Here are five planning and implementing steps we took. We decided we would coach new teachers only during the first 6 weeks of school, then narrowed down what we wanted them to know and be able to do at the end of those 6 weeks. Two of our goals were strategically tied to the Colorado Teacher Quality Standards so that our work was aligned with the criteria teachers would be evaluated on. Now that we had our targets, it was time to plan for the learning we would do with teachers to support their progress towards the targets. We knew we wanted to go into some depth, so we planned for a full day PD. 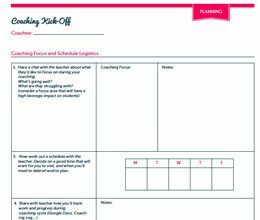 If you currently don’t have a full day PD option, you could break the learning up into four or five one hour sessions over the course of a month or so. The anchor text we chose for our work was The First Six Weeks of School . A copy was purchased for each teacher and it served as a foundation for our learning. One of the best things we did was define clear “criteria for success” tied to each of our targets. Classroom management is a broad area, but we made the effort to maintain a narrowed focus on what we felt were the most critical components for the start of the year. We used a Classroom Environment Criteria list that our school designer shared with us to communicate these criteria to teachers. We then asked three veteran teachers to serve as model classrooms for new teachers to visit, in support of setting up their classroom space. They took along their Criteria List and recorded evidence they observed on their visits, tied to each one. I think this was helpful for teachers to really see what they were reading about on paper. One of the hardest things for me is collecting data or clear evidence on classroom management. I’m just starting to try out a new coaching tool a fellow coach shared with me at a conference. I modified it a bit, but it’s based on the book Coaching Classroom Management which looks awesome and I totally need to read. Anyhow, I’m going to give it a go this week and see how I can use it. Our leadership team also did a round of walkthroughs to collect data on how the learning we worked on with teachers was being implemented. We used this walkthrough tool to help us collect data and calibrate our looks-fors and feedback. The majority of teachers will quickly take you up on your offer to model a lesson and thank you many times over. It can often be so much for impactful when a teacher has the opportunity to see the practices/strategies you’re describing in action in their classroom with their kids.
. And it’s really true, especially with classroom environment/management. 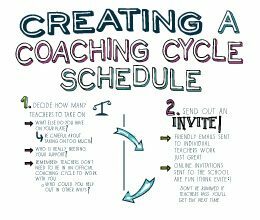 Coaching teachers in this area takes time, patience, and lots of encouragement along the way. I know it’s nearly October, but it’s definitely not too late to begin implementing any of these steps. 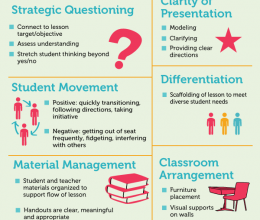 Lots of teachers need support in creating and maintaining a beautiful classroom space that supports learning and engagement throughout the year. If you’re an expert in or have some experience with coaching on classroom management, you for sure have to let me know. I need all the ideas I can get!